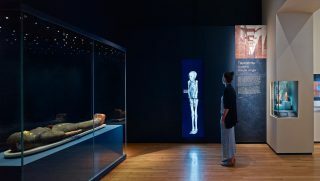 This exhibition explored the lives of eight mummified individuals from Ancient Egypt through cutting-edge technology and rare objects. 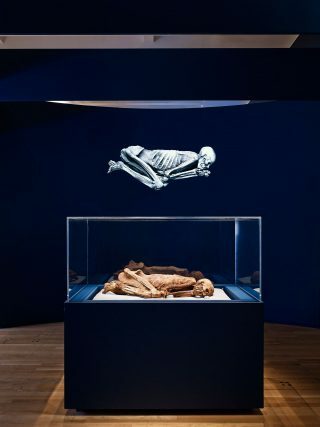 We used CT scans of each mummy, which were animated into films. 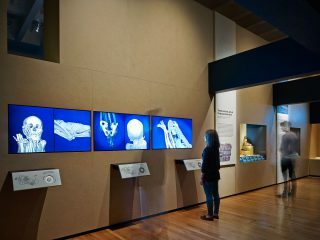 We used interactive media to give visitors the sensation that they were dissecting and discovering findings from each mummy. 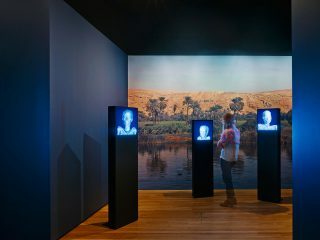 From an early stage, the emphasis was taken away from exploring the scientific aspect of the exhibition, but rather to showcase the human stories that were discovered through the scans. 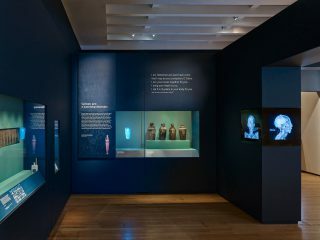 The digital media was incorporated into the architecture of the space through projection, recessed monitors, and discreet interactive control panels. 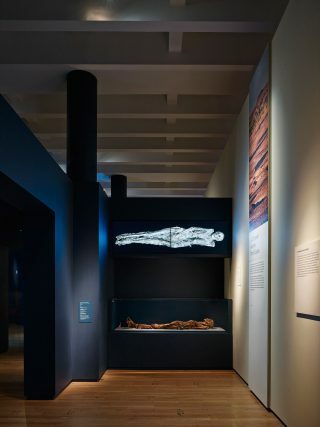 We worked closely with the museum, to give the ancient human remains dignity and respect.